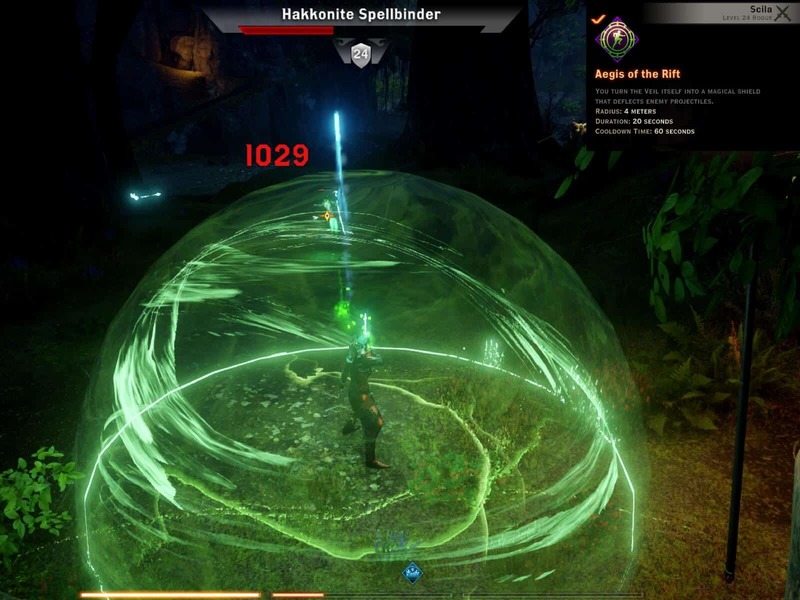 One of the things Bioware didn’t get any credit for with their first DA: Inquisition DLC is the use of terrain and elevation to both increase the amount of content in the zone and to give players more strategic combat options. Because there’s so many hills, ravines,valleys, and other areas where you have the upper ground in Frostback Basin, you can make fights a lot easier by taking advantage of attacking from elevation. This keeps your ranged characters safe from melee enemies and makes fighting elite enemies much easier. The melee enemies have to run all the way up the hill to get to my archer and mage. This approach is particularly important when fighting Hakkonite enemies, as they tend to have melee bruisers that deal very high melee damage, as well as archers and mages that you can quickly take out from distance. Another way to make this even more effective is to attack from a ledge or a tree root, where enemies can only run up one by one to attack you, or not at all. Finally, there’s the added bonus of taking advantage of the “Death from Above” Archer Passive skill. Hakkon’s Mercy, a powerful new unique dagger found in Frostback Basin. Jaws of Hakkon introduces new unique weapons and armor, as well as lots of new crafted gear, including the brand new Tier 4 level of schematics. These are noticeably superior to the gear available on the standalone game. The approach that I would take is to start out by equipping any new unique (purple) gear you find, and then replace everything with crafted Tier 4 gear when you find the right schematics. When you play Jaws of Hakkon on higher difficulties you will probably notice that Hakkonite Bowmen and Spellbinders do a LOT of damage. In fact on Nightmare difficulty they can one shot your mages and rogues quite easily. As such, you should always focus the Bowmen first – they don’t have a lot of health or armor, and also do the most burst damage out of any Hakkonite enemy. Spellbinders should be your next priority, as they also deal high ranged damage, but have low armor. Another thing I found to be really helpful against Hakkonite enemies is to use the Confusion Grenade, which causes enemies to attack each other. This is most important for the last 2 parts of the main quest in the zone, where you will first explore an ancient temple, and then fight the final boss. You can buy the recipe for the cold resistance tonic in Val Royeaux, or simply pick it up inside the Old Temple right as you’re doing the main quest line. The tonic is particularly important for the boss since the majority of his attacks are cold-based and deal high damage. 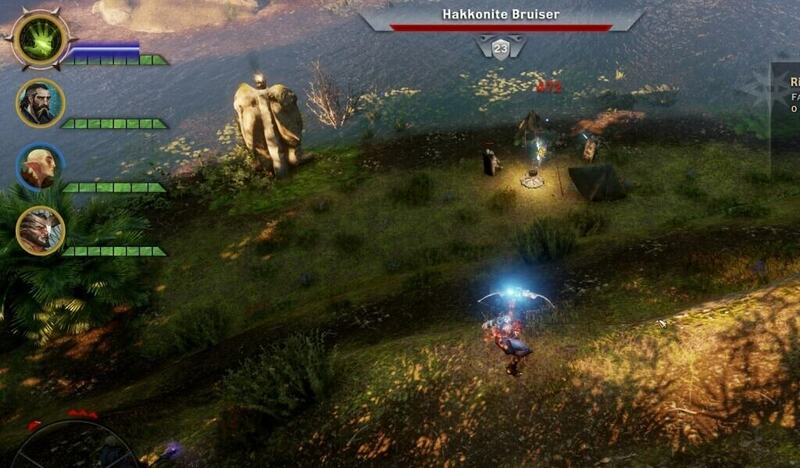 Aegis of the Rift is a new skill in Jaws of Hakkon which is learned by your Inquisitor. It creates a sphere that deflects enemy projectile attacks, and can be further upgraded to deal damage as well. This skill seems underwhelming at first, but becomes increasingly useful the further you get in the Hakkon DLC. This skill is very strong against Hakkonite Bowmen in particular. 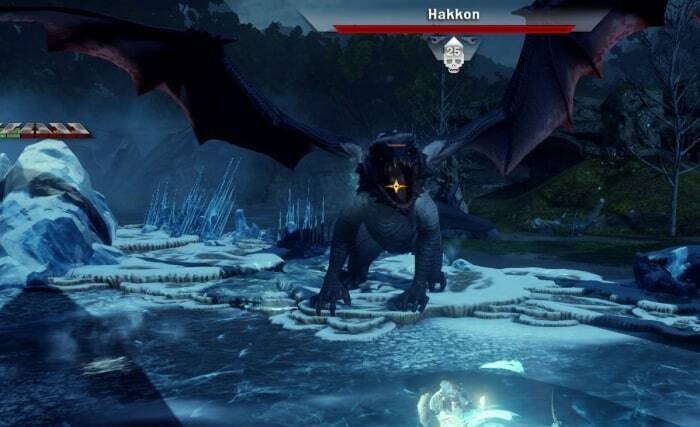 But the most important reason I recommend this skill is because it will make the final boss fight easier; when the dragon goes into his flight phases, you can simply stack up your group inside the Aegis and completely nullify his ranged attacks.